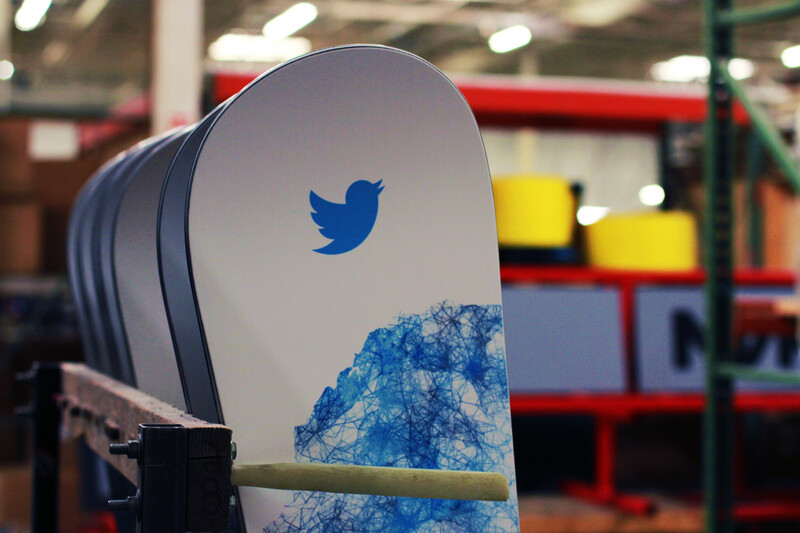 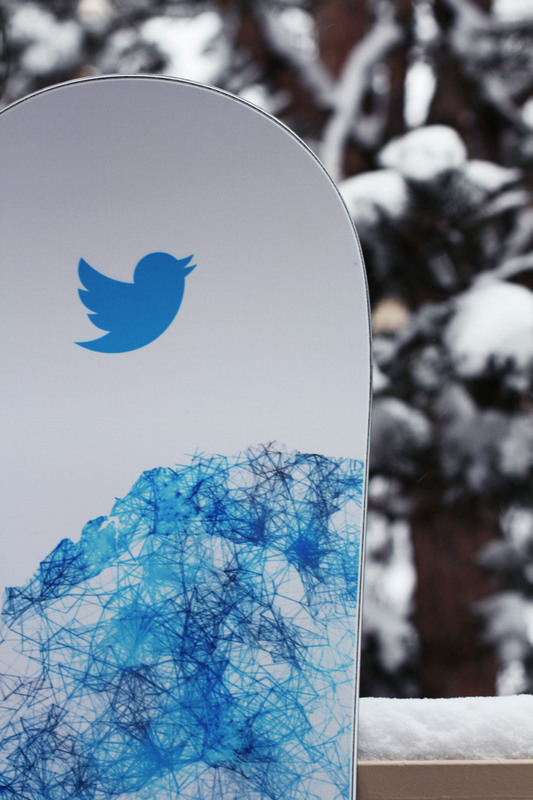 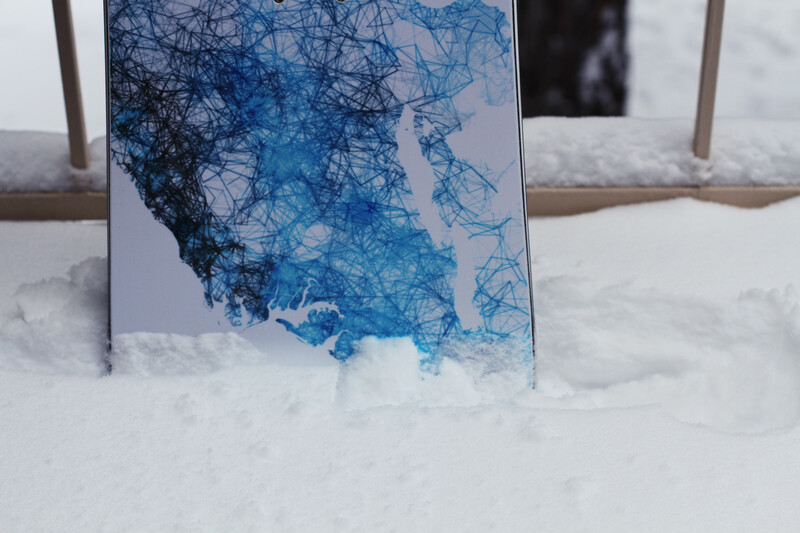 Twitter came to Dfuzr Industries looking to collaborate with Never Summer on limited run of snowboards. 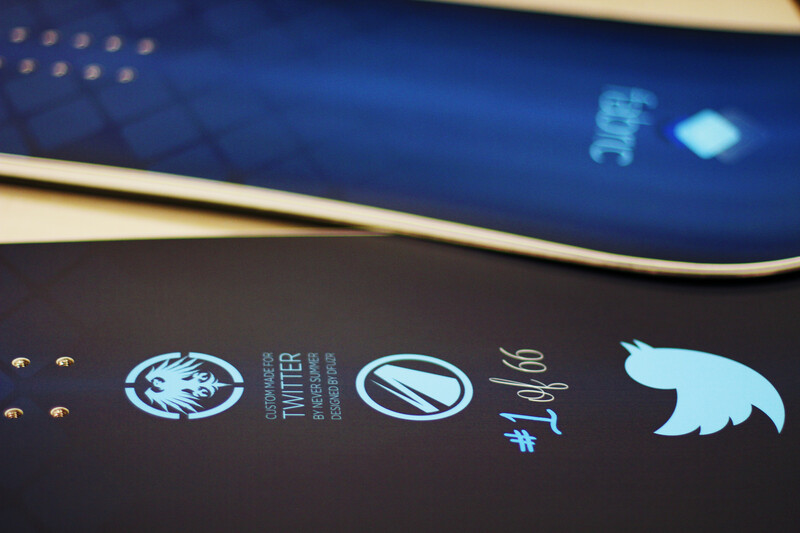 The end result was two custom boards – one based on Twitter Data and the other using Fabric (Twitter's app building tool) as inspiration. 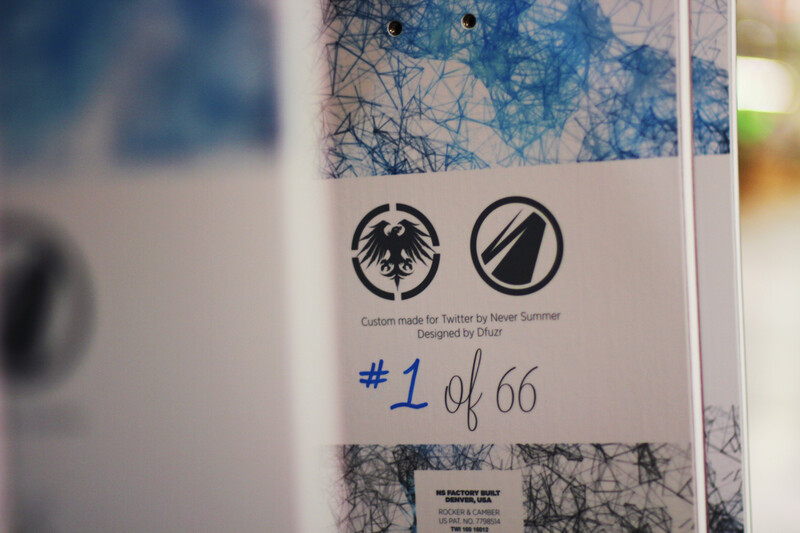 I was then allowed to visit the Never Summer factory to hand letter each board's number in the series.